If you click around the interactive map, you will notice some trends under a scenario where emissions continue to rise for 60 years. "Many East Coast cities are going to become more like locations in the southwest, roughly 500 miles away," says Fitzpatrick. On the West Coast, cities look like places straight south of them. Portland, for example, will be in 2080 more like California's Central Valley, which is generally warmer and drier. Also, the map has an option (on its left side), which uses a different calculation to show what shifts would look like if emissions peak around 2040 and begin to fall. The implications are shocking but also potentially useful. "Framing results in a digestible way for the public sector are notoriously difficult," says Kevin Burke of the University of Wisconsin-Madison, who was not involved in the study. "One notable outcome of this work is the potential for cities and their analog pairs to transfer knowledge and coordinate climate adaptation strategies." Take extreme heat, for example. That's a standard in a place like Phoenix, a city loaded with air conditioners. But in a place like San Francisco, air conditioning is a rarity. If San Francisco does indeed end up with a climate like LA's in 60 years, that's going to be a big public health problem. Extreme heat easily kills, as in Europe's deadly heat waves in 2017. San Francisco could stand to learn some water management techniques from its 2080 analog. Climate models predict that in the coming decades, LA will see fewer, yet more intense rainstorms. So to prepare, the city has begun an ambitious program to capture those huge dumps of water with a network of cisterns built into road medians. The rain capture program reduces its dependence on water piped into the city from afar. The Bay Area, which has historically been blessed with more rainwater than its neighbor in the south, has not been so forward-thinking. Rich communities have thrown hissy fits when new water requirements meant their lawns would- gasp -turn brown. "Los Angeles is far ahead of the Bay Area in terms of having put in place incentives to move away from the more water-intensive outdoor landscaping that we still have in the progressive Bay Area," says Michael Kiparsky, director of Wheeler Water Institute at UC Berkeley, who was not involved with this new work. Changes in rainfall would have serious implications for agriculture, of course. But something more subtle will also unfold: As the climate changes, so too will the makeup of local ecosystems. Pests like mosquitos, for example, could boom in your community. Certain plant species may not be able to handle the sudden shift and die out. "Humans may adapt to some extent and move, but animals and ecosystems will not be able to in that short time period," says Swiss Federal Institute of Technology climate scientist Reto Knutti, who was not involved in the study. "So we are pursuing a risk experiment with the Earth, with partly unknown consequences." "That's actually my biggest worry," says Fitzpatrick. " More frightening still, some of the North American cities that Fitzpatrick explored will have no modern equivalency in 2080. That is, you can not compare them to a climate we see today. 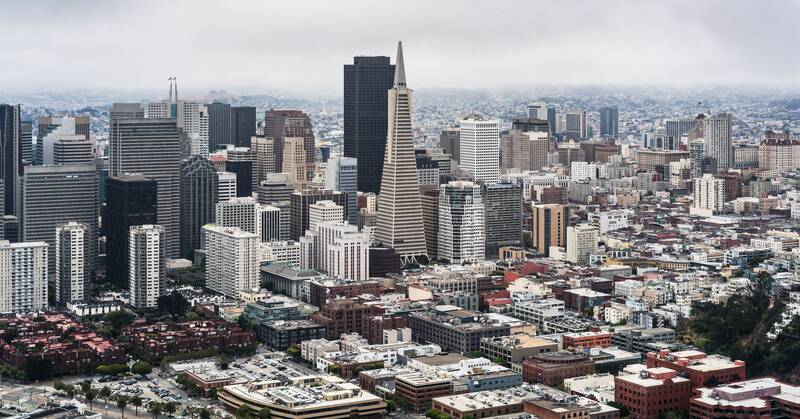 The Bay Area can anticipate feeling more like Los Angeles in 60 years and adapt accordingly, but if you do not have a good idea of ​​what's coming, it's hard to mitigate the threat. To be clear, however, this climate-friendly analog technique simplifies things-for example, researchers have left complicating factors like the urban heat island effect, in which cities absorb more heat than surrounding rural areas. And this is average climate not weather. So, for example, the recent cold snap on the East Coast was generated by warmer temperatures in the Atlantic. "None of that is captured by these analogs," says Andrew Jarvis, a scientist at CGIAR, an agricultural research institute. "So from a communication perspective, that's one of the dangers of it. It's overly simplifying. "And necessarily so: Climate systems are monumentally complex, though bit by bit scientists are getting a better grasp on how our planet will transform in time of climate change. Still, the idea with this new interactive map is to better visualize both for regular citizens and policymakers – what has previously been presented as impenetrable datasets. "I hope more than anything is an eye-opener and that it starts more of these discussions so that more planning can take place," says Fitzpatrick. Climate change is here, and it's already wreaking havoc. Consider this, then, a roadmap to help navigate the chaos.